"She sings with fire in her belly" said Duncan Campbell from Auckland newspaper The New Zealand Herald. 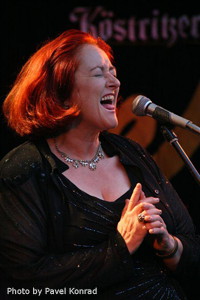 She has been a finalist twice in the New Zealand Music Industry, her fourth album for Jazz Album of the Year in 1996. Seeking fresh challenges, this enterprising jazz and blues singer set out to explore Europe in 1995 and Berlin drew her in like a magnet with its vibrant music scene.